On Tisha B’Av – the 9th day of the Hebrew month of Av (July 16, 2013) we commemorate and mourn the destruction of the 1st and 2nd Temples in Jerusalem. For modern Jews, how might we make sense of this? A profound teaching may be uncovered from this little-known day: the fall of the Temple reflects the times in our own lives where things fall apart, where what we thought was solid, has ruptured. 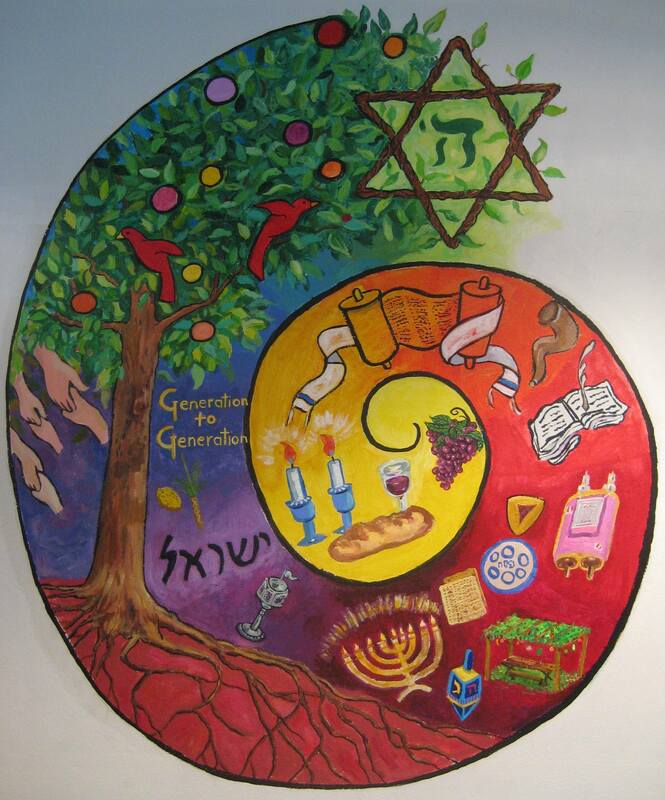 And Judaism, in its wisdom, suggests to us that we face that reality, breathe into it, feel the pain, and from that place, begin to turn toward wholeness and healing (in community.) Nobody escapes in this life unscathed by tragedy. Relationships once central to our lives break apart, people fail us, we disappoint ourselves, support we thought we could count on evaporates…and the I-405 has been under construction FOREVER. Will it ever be easy traveling? Our tradition teaches us to be honest about pain, suffer in it, and then, as we begin to yearn for healing and wholeness, turn, begin teshuvah and aim for Home. And when we find our “home” again – we realize that real security can’t be found in “bricks and mortar” buildings, or even things like money or fame or even other people. True security must be woven into our own souls. And remarkably, this is how we begin our move into the High Holy Days this year, and every year. We begin by facing the places in our own lives that are broken and shattered…areas where we might be disillusioned – even notions of our selves and those we love that no longer work. And in facing those stark places, we shed what no longer fits or is right and begin the trek to discover how we might build afresh. We enter the month of Elul on August 7 and then we have 30 days to prepare our souls for the Days of Awe – Rosh Hashanah and Yom Kippur. We then take our raw awareness and new beginnings into Sukkot, which bookends this entire grand arc of our soul’s journey. Right after a full day of cleansing on Yom Kippur we are asked to build another structure – the sukkah. Although this time, we build it with the full knowledge that it is a rickety kind of enclosure, open to both the sky and wind — and guests. And here, we have the experience in our own backyards that real security can not be found in any physical structure or external “thing, but must be grounded in our hearts. This is the deep and profound spiritual lesson we have the opportunity to test out for ourselves each and every year. And we begin today. Together.